English philosopher and jurist, born on the 15th of February 1748 in Red Lion Street, Houndsditch, London, in which neighborhood his grandfather and father successively carried on business as attorneys. His father, who was a wealthy man and possessed at any rate a smattering of Greek, Latin and French, was thought to have demeaned himself by marrying the daughter of an Andover tradesman, who afterwards retired to a country house near Reading, where young Jeremy spent many happy days. The boy's talents justified the ambitious hopes which his parents entertained of his future. When three years old he read eagerly such works as Rapin's History and began the study of Latin. A year or two later he learned to play the violin and to speak French. At Westminster school he obtained a reputation for Greek and Latin verse writing; and he was only thirteen when he was matriculated at Queens College, Oxford, where his most important acquisition seems to have been a thorough acquaintance with Sanderson's logic. He became a B.A. in 1763, and in the same year entered at Lincoln's Inn, and took his seat as a student in the queen's bench, where he listened with rapture to the judgments of Lord Mansfield. He managed also to hear Blackstone's lectures at Oxford, but says that he immediately detected the fallacies which underlay the rounded periods of the future judge. Bentham's family connections would naturally have given him a fair start at the bar, but this was not the career for which he was preparing himself. He spent his time in making chemical experiments and in speculating upon legal abuses, rather than in reading Coke upon Littleton and the Reports. On being called to the bar he "found a cause or two at nurse for him, which he did his best to put to death", to the bitter disappointment of his father, who had confidently looked forward to seeing him upon the woolsack. The first fruits of Bentham's studies, the Fragment on Government, appeared in 1776. This masterly attack upon Blackstone's praises of the English constitution was variously attributed to Lord Mansfield, Lord Camden and Lord Ashburton. One important result of its publication was that, in 1781, Lord Shelburne (afterwards first marquess of Lansdowne) called upon its author in his chambers at Lincoln's Inn. Henceforth Bentham was a frequent guest at Bowood, where he saw the best society and where he met Miss Caroline Fox (daughter of the second Lord Holland), to whom he afterwards made a proposal of marriage. In 1785 Bentham started, by way of Italy and Constantinople, on a visit to his brother, Samuel Bentham, a naval engineer, holding the rank of colonel in the Russian service; and it was in Russia that he wrote his Defence of Usury. Disappointed after his return to England in 1788 in the hope which he had entertained, through a misapprehension of something said by Lord Lansdowne, of taking a personal part in the legislation of his country, he settled down to the yet higher task of discovering and teaching the principles upon which all sound legislation must proceed. The great work, upon which he had been engaged for many years, the Principles of Morals and Legislation, was published in 1789. His fame spread widely and rapidly. He was made a French citizen in 1792; and his advice was respectfully received in most of the states of Europe and America, with many of the leading men of which he maintained an active correspondence. In 1817 he became a bencher of Lincoln's Inn. His ambition was to be allowed to prepare a code of laws for his own or some foreign country. During nearly a quarter of a century he was engaged in negotiations with the government for the erection of a "Panopticon", for the central inspection of convicts; a plan suggested to him by a building designed by his brother Samuel, for the better supervision of his Russian shipwrights. This scheme, which it was alleged would render transportation unnecessary, was eventually abandoned, and Bentham received in 1813, in pursuance of an act of parliament, �23,000 by way of compensation. It was at a later period of his life that he propounded schemes for cutting canals through the isthmus of Suez and the isthmus of Panama. In 1823 he established the Westminster Review. Emboldened perhaps by the windfall of 1813, Bentham in the following year took a lease of Ford Abbey, a fine mansion with a deer-park, in Dorsetshire; but in 1818 returned to the house in Queen's Square Place which he had occupied since the death of his father in 1792. It was there that he died on the 6th of June 1832 in his eighty-fifth year. In accordance with his directions, his body was dissected in the presence of his friends, and the skeleton is still preserved in University College, London. Bentham's life was a happy one of its kind. His constitution, weakly in childhood, strengthened with advancing years so as to allow him to get through an incredible amount of sedentary labor, while he retained to the last the fresh and cheerful temperament of a boy. An ample inherited fortune permitted him to pursue his studies undistracted by the necessity for earning a livelihood, and to maximize the results of his time and labor by the employment of amanuenses and secretaries. He was able to gather around him a group of congenial friends and pupils, such as the Mills, the Austins and Sir John Bowring, with whom he could discuss the problems upon which he was engaged, and by whom several of his books were practically rewritten from the mass of rough though orderly memoranda which the master had himself prepared. Thus, for instance, was the Rationale of Judicial Evidence written out by John Stuart Mill and the Book of Fallacies by Bingham. The services which Dumont rendered in recasting as well as translating the works of Bentham were still more important. The popular notion that Bentham was a morose visionary is far removed from fact. It is true that he looked upon general society as a waste of time and that he disliked poetry as "misrepresentation"; but he intensely enjoyed conversation, gave good dinners and delighted in music, in country sights and in making others happy. These features of Bentham's character are illustrated in the graphic account given by the American minister, Richard Rush, of an evening spent at his London house in the summer of the year 1818. "If Mr. Bentham's character is peculiar", he says, "so is his place of residence. It was a kind of blind-alley, the end of which widened into a small, neat courtyard. There by itself stands Mr. Bentham's house. Shrubbery graced its area and flowers its window-sills. It was like an oasis in the desert. Its name is the Hermitage. Mr. Bentham received me with the simplicity of a philosopher. I should have taken him for seventy or upwards. Everything inside the house was orderly. The furniture seemed to have been unmoved since the days of his fathers, for I learned that it was a patrimony. A parlour, library and dining-room made up the suite of apartments. In each was a piano, the eccentric master of the whole being fond of music as the recreation of his literary hours. It is a unique, romantic-like homestead. Walking with him into the garden, I found it dark with the shade of ancient trees. They formed a barrier against all intrusion. The company was small but choice. Mr. Brougham; Sir Samuel Romilly; Mr. Mill, author of the well-known work on India; M. Dumont, the learned Genevan, once the associate of Mirabeau, were all who sat down to table. Mr. Bentham did not talk much. He had a benevolence of manner suited to the philanthropy of his mind. He seemed to be thinking only of the convenience and pleasure of his guests, not as a rule of artificial breeding as from Chesterfield or Madame Genlis, but from innate feeling. Bold as are his opinions in his works, here he was wholly unobtrusive of theories that might not have commended the assent of all present. When he did converse it was in simple language, a contrast to his later writings, where an involved style and the use of new or universal words are drawbacks upon the speculations of a genius original and profound, but with the faults of solitude. Yet some of his earlier productions are distinguished by classical terseness." (Residence at the Court of London, p. 286.) Bentham's love of flowers and music, of green foliage and shaded walks, comes clearly out in this pleasant picture of his home life and social surroundings. Whether or not he can be said to have founded a school, his doctrines have become so far part of the common thought of the time, that there is hardly an educated man who does not accept as too clear for argument truths which were invisible until Bentham pointed them out. His sensitively honorable nature, which in early life had caused him to shrink from asserting his belief in Thirty-nine articles of faith which he had not examined, was shocked by the enormous abuses which confronted him on commencing the study of the law. He rebelled at hearing the system under which they flourished described as the perfection of human reason. But he was no merely destructive critic. He was determined to find a solid foundation for both morality and law, and to raise upon it an edifice, no stone of which should be laid except in accordance with the deductions of the severest logic. This foundation is "the greatest happiness of the greatest number", a formula adopted from Joseph Priestley or perhaps first from Beccaria. The phrase may, however, be found in writers of an earlier date than these, e.g. in Hutcheson's Enquiry, published in 1725. The pursuit of such happiness is taught by the "utilitarian" philosophy, an expression used by Bentham himself in 1802, and therefore not invented by J. S. Mill, as he supposed, in 1823. In order to ascertain what modes of action are most conducive to the end in view, and what motives are best fitted to produce them, Bentham was led to construct marvelously exhaustive, though somewhat mechanical, tables of motives. With all their elaboration, these tables are, however, defective, as omitting some of the highest and most influential springs of action. But most of Bentham's conclusions may be accepted without any formal profession of the utilitarian theory of morals. They are, indeed, merely the application of a rigorous common sense to the facts of society. That the proximate ends at which Bentham aimed are desirable hardly any one would deny, though the feasibility of the means by which he proposes to attain them may often be questioned, and much of the new nomenclature in which he thought fit to clothe his doctrines may be rejected as unnecessary. To be judged fairly, Bentham must be judged as a teacher of the principles of legislation. With the principles of private morals he really deals only so far as is necessary to enable the reader to appreciate the impulses which have to be controlled by law. As a teacher of legislation he inquires of all institutions whether their utility justifies their existence. If not, he is prepared to suggest a new form of institution by which the needful service may be rendered. While thus engaged no topic is too large for his mental grasp, none too small for his notice; and, what is still rarer, every topic is seen in its due relation to the rest. English institutions had never before been thus comprehensively and dispassionately surveyed. Such improvements as had been necessitated were mere makeshifts, often made by stealth. The rude symmetry of the feudal system had been long ago destroyed by partial and unskilful adaptations to modern commercial life, effected at various dates and in accordance with various theories. The time had come for deliberate reconstruction, for inquiring whether the existence of many admitted evils was, as it was said to be, unavoidable; for proving that the needs of society may be classified and provided for by contrivances which shall not clash with one another because all shall be parts of a consistent whole. This task Bentham undertook, and he brought to it a mind absolutely free from professional or class feeling, or any other species of prejudice. He mapped out the whole subject, dividing and subdividing it in accordance with the principle of "dichotomy." Having reached his ultimate subdivisions he subjects each to the most thorough and ingenious discussion. His earlier writings exhibit a lively and easy style, which gives place in his later treatises to sentences which are awkward from their effort after unattainable accuracy, and from the newly-invented technical nomenclature in which they are expressed. Many of Bentham's phrases, such as "international" "utilitarian", "codification", are valuable additions to our language; but the majority of them, especially those of Greek derivation, have taken no root in it. His neology is one among many instances of his contempt for the past and his wish to be clear of all association with it. His was, indeed, a typically logical, as opposed to a historical, mind. 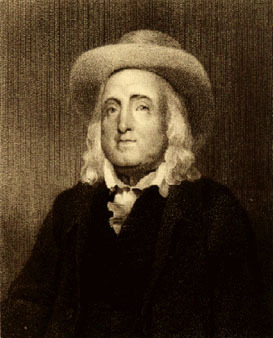 For the history of institutions which, thanks largely to the writings of Sir Henry Maine, has become a new and interesting branch of science, Bentham cared nothing. Had he possessed such a knowledge of Roman law as is now not uncommon in England, he must doubtless have taken a different view of many subjects. The logical and historical methods can, however, seldom be combined without confusion; and it is perhaps fortunate that Bentham devoted his long life to showing how much may be done by pursuing the former method exclusively. His writings have been and remain a storehouse of instruction for statesmen, an armory for legal reformers. "Pill� par tout le monde", as Talleyrand said of him, "il est toujours riche." To trace the results of his teaching in England alone would be to write a history of the legislation of half a century. Upon the whole administrative machinery of government, upon criminal law and upon procedure, both criminal and civil, his influence has been most salutary; and the great legal revolution which in 1873 purported to accomplish the fusion of law and equity is not obscurely traceable to the same source. Those of Bentham's suggestions which have hitherto been carried out have affected the matter or contents of the law. The hopes which have been from time to time entertained, that his suggestions for the improvement of its form and expression were about to receive the attention which they deserved, have hitherto been disappointed. The services rendered by Bentham to the world would not, however, be exhausted even by the practical adoption of every one of his recommendations. There are no limits to the good results of his introduction of a true method of reasoning into the moral and political sciences.